Serbia, stuck in the past or proving EU worthy of a peace prize? After the May 2012 elections, former key allies of Slobodan Milosevic became Serbia’s Prime Minister and President. Their declared goal is now EU membership. Is this goal credibly pursued by the new government? Does the process towards EU membership warrant the Noble Peace Price to the European Union? 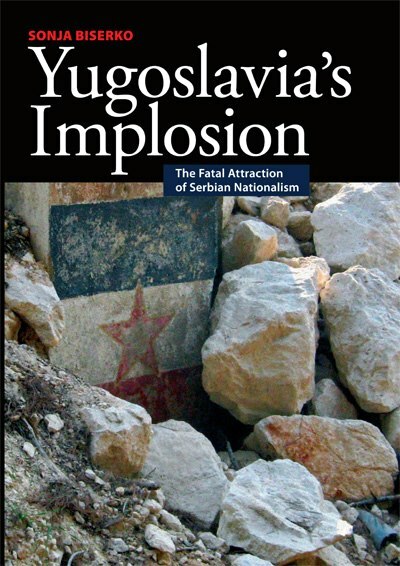 We launch the book “Yugoslavia’s Implosion: The Fatal Attraction of Serbian Nationalism” by Sonja Biserko, where she traces the roots of Serbia’s situation today. Sonja Biserko, author of the book and Chair of the Helsinki Committee for Human Rights in Serbia will be the main speaker. Sonja Biserko is regarded as the strongest voice of human rights in the Balkans today. As the founder of the SHCHR she has continuously stood up against war, ethnic cleansing and the nationalist currents which set the stage for the Milosevic regime and the wars of the 1990s and which are still haunting Serbian politics. Biserko is also a senior researcher at the United States Institute of Peace, guest lecturer at the Human Rights Center at the University of California, founder of The Center for Anti-War Action in the Belgrade Forum for International Relations, and a member of the International Editorial Board of International Transitional Justice Journal. Neil Campbell is head of EU policy development at the Open Society European Policy Institute in Brussels. He undertakes analysis and advocacy in the thematic areas of development, governance, and accountability in areas relevant to the EU and the Open Society Foundations, and he is also responsible for advocacy work on EU enlargement towards Turkey and the Western Balkan countries. Aage Borchgrevink is a Norwegian author and senior advisor at the Norwegian Helsinki Committee. In 2004 he was awarded the Ossietzky Award by the Norwegian PEN for his «outstanding promotion of free speech». Borchgrevink has been particularly concerned with the conflicts in the former Yugoslavia and the Caucasus, and has written several books about the areas. The seminar will be held in English. Coffee will be served. Free entry. Please sign up with [email protected] within Friday 16 November. Ole B Lilleås can be contacted at (+47) 415 06 236 regarding any questions on the event and the launching of the book.